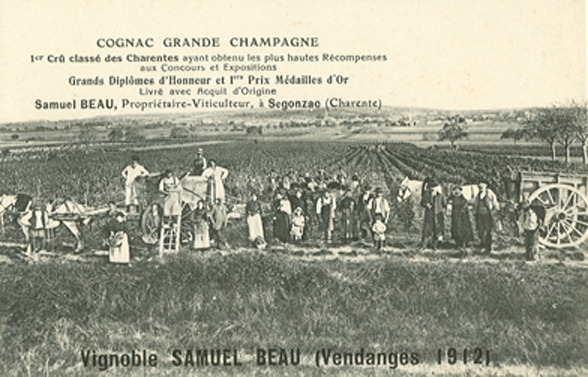 This wine family business was created at the end of the nineteenth century by Paul's father, Samuel Beau. With a visionary sense that we still find amazing, he developped the vineyard and built the main buildings of the current estate... that are still used today ! He passed away just before the first world war of 1914, so his son took over the family business. Paul, with the help of his wife Denise, who came from an old wingrower family (she was proud to tell that she was "a farmer"), expended the vineyard, modernized, innovated, and focussed on the aging process and on maturing the eau-de-vie. Indeed, the eau-de-vies that come from the Grande Champagne area requires time to reveal their complexity and the complete range of their flavors. And now, the family keeps going on ! 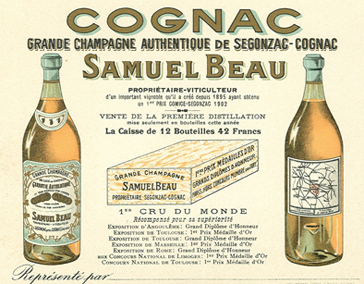 The revival of bottling cognac took place in 1977 with the creation of the trademark 'Paul Beau", for the purpose of marketing directly the cognacs grown and blended by the family. 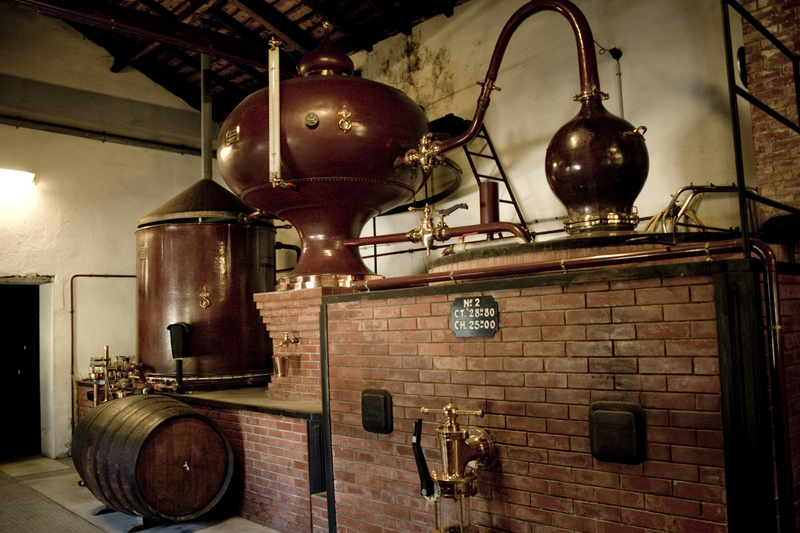 Today the vineyard represents about 100 hectares situated in the first growth area of Cognac, the "Grande Champagne", and we assume the complete process, from the production to the distillation and the ageing.